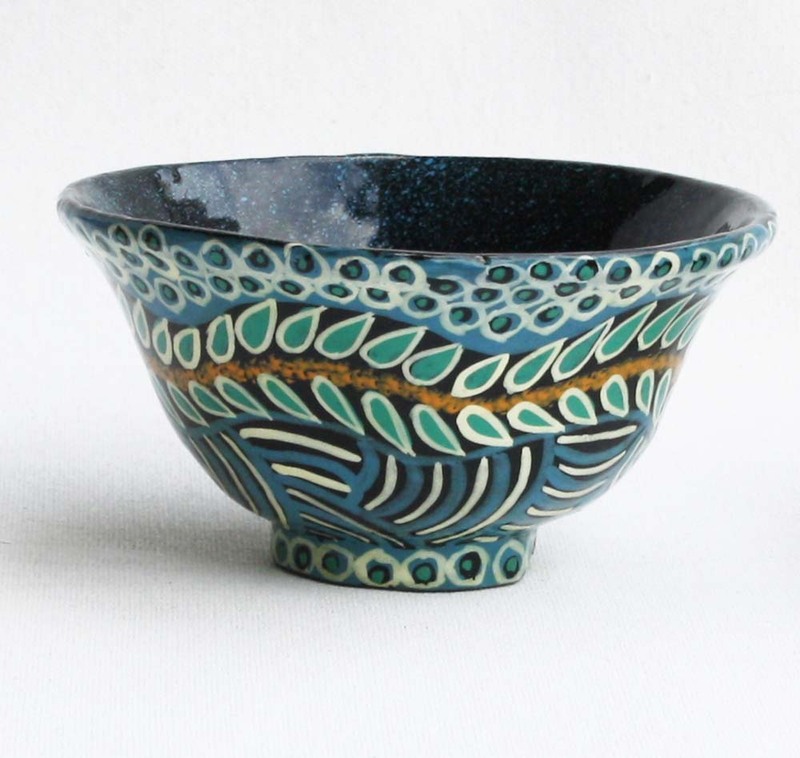 Handmade and handpainted using recycled paper, traditional Kashmiri handicrafts are united with Aboriginal designers. Story: 'Walka Tjukula (rockhole design)' by Karen Kulyuru. Karen describes her painting as Walka. Walka is any meaningful mark or pattern and may be an image on a cave wall, on rock or on sand and has cultural and ritual significance. It is used on the body during inma or ceremony. This painting depicts rockholes, sandhills and the roads between these places.